Find out how to write an engaging job advert that attracts the right candidates, ranks highly when posted online and helps you screen your responses with ease. In this guide we will be showing you our 3 steps to creating a successful job advert that attracts the right candidates for your role. The first paragraph is the most important paragraph when posting your job online. Why? 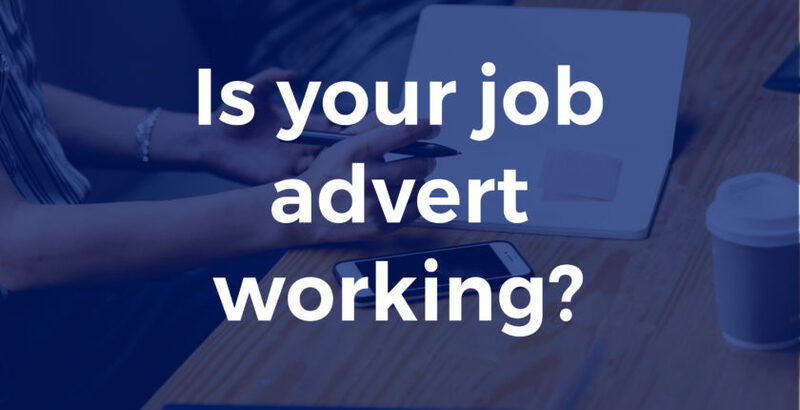 Well, job board sites will rank your advert based on a simple algorithm to ensure a good candidate user experience with their site, after all the job board with the most candidates makes the most applications! The algorithm works by scoring your vacancy’s relevancy against a candidate’s search criteria. When searching for a vacancy, candidates will search within a given sector, say, Construction, and they will search within their postcode, town or city. Therefore, to get your vacancy seen by more relevant candidates and ranked above similar job adverts online, it’s important to include the following important information in the first paragraph…. With thousands of jobs posted on job board sites every week it’s important to have a relevant job title, without a relevant job title the job boards will not know what candidates to serve your ad to, therefore use the title you want the candidate to search for. Repeat your job title once or twice in the first paragraph so that it gives your advert relevancy and tells the job boards the right candidate searches to serve your advert to. Being specific about your job location is key to having your advert rank in the right place on the job boards. This is because a candidate job search is location centric; candidates search within their area or ‘X’ miles of where they live. In the first paragraph, write where the candidate will be based. If the candidate is also required to work in alternative areas you can mention this later in the second step. Candidates often search with a specific salary range and want to see the salary on your advert. The job board’s algorithm knows this, therefore they will reward this, by presenting your job advert above other job adverts; that have not specified their salary. So, with the first paragraph being the most important on your advert, it’s vital to mention the salary or salary range along with the location and the job title in the first 40 words or so. Now we have the first paragraph nailed, it’s time to create an interesting overview of your position detailing the candidate’s tasks and daily responsibilities. It’s important to make your job description sound interesting by using upbeat language to sell the opportunity and giving the candidate a full understanding of what skills and qualifications are needed to apply. Remember, you need to sell your job to candidates, to get the best response from your campaign. There are a lot of jobs posted online and not enough good candidates searching. We recommend writing a paragraph describing the job role followed by a bullet point list of main responsibilities and what the candidate will get up to daily. This makes the structure of your job description easier to read and easier to digest the main responsibilities. Okay, now you have described the job role and main responsibilities it’s time to list what characteristics, experience and qualifications you are looking for. Make a list of skills and experience required for the job role. The final step to your awesome job advert is a strong call to action, to ensure the candidate knows how to apply for the job and what to send in with their CV. A good call to action is proven to improve the number of applications you will receive for your vacancy and will make the shortlisting process a lot quicker. If you want to make your shortlisting process a lot easier, requesting for a covering letter with a copy of their CV, will do just that. A good applicant will submit a covering letter with their CV and should take the time write a tailored letter to your job role with the character and experience your looking for. Without having to open each CV and shortlisting every candidate, a cover note will give you a good prospective on whether the candidate is suitable for the role or not, making the process much quicker. Would your ideal candidate have a portfolio? For some more technical job roles such as web designers, writers, artist and much more, it’s worth asking for a portfolio. A candidate’s portfolio can show off their work, showing you their capabilities and proof of their skill set. NEED FURTHER ADVICE OR JOB ADVERTISING SERVICES? We provide job advertising packages, that post your job to over 100+ job boards including the UK’s leading 8. To find out how we can help you with your recruitment advertising costs, please call us on 0161 667 1613.